'I do not think that the landscape historian can resent what he sees now. [The M1] is a fine road, and already a bit of history.' W.G. Hoskins, Leicestershire Shell Guide (1970), p. 14. 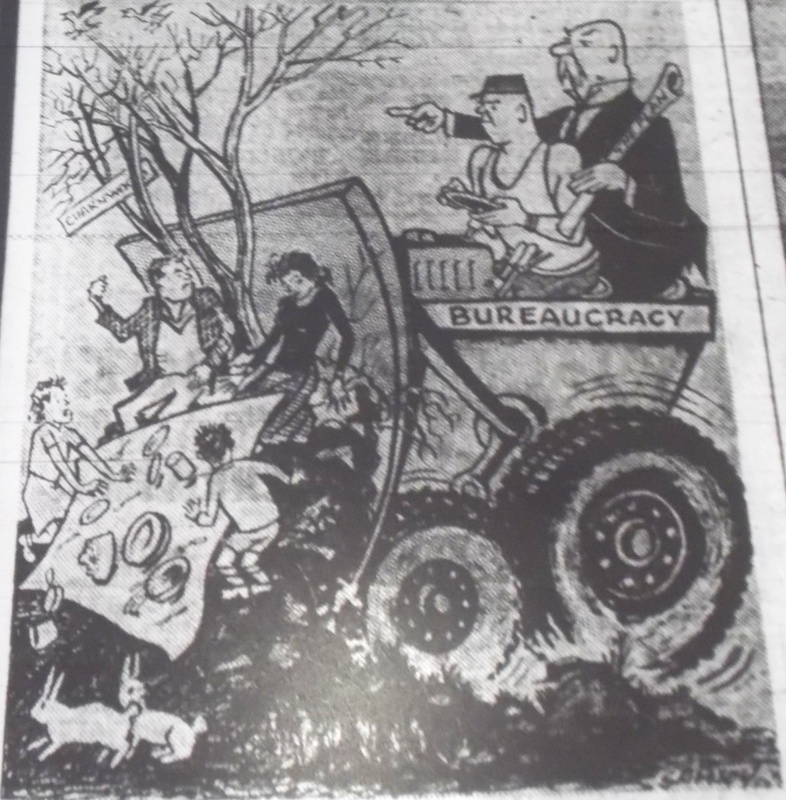 On this page, we trace the story of local protest against the proposed route of the motorway through Charnwood Forest through the pages of the Leicester Evening Mail (hereafter LEM). The paper was a major player in coordinating this protest and the raising of a petition which was eventually presented to the Ministry of Transport and which led to the rerouting of the road on to its present course. Leicestershire County Council today decided to support the Government’s proposal to run the new London-Yorkshire motorway through the Charnwood Forest. They reached the decision despite a recommendation by the County Planning Committee that a strong protest should be made against the plan. The Forest route, it was disclosed by Mr Victor Pochin, would, broadly speaking, go from Groby to Newtown Linford, through the Ulverscroft Valley , and pass about 100 yards from Oaks Church. The Soar Valley route, he said, would go via Quorn, Mountsorrel, Loughborough and Kegworth and would bypass all these places. The County Planning Committee, in their report to the council, stated that the proposed line through Charnwood Forest would require more land to be taken from agriculture than would the Valley route. The construction of the route on the Forest line would seriously injure the amenities of Charnwood Forest which the council had always tried to preserve. A storm is brewing over Charnwood Forest. Farmers who envisage their land being cut in two by the proposed new London-Yorkshire motorway are protesting strongly. But, there is still a chance that their objections will be heeded, for the Ministry of Transport said in London today that nothing had yet been decided on the northern part of the motorway. The project, they say, is still in the “objection” stage, preliminary to the “draft line” period. The Charnwood decision was taken in the absence of the chairman of Leicestershire County Council, Sir Robert Martin, Leicestershire’s most vigorous champion of Charnwood. The news of the County Council’s unexpected decision was given to him in London today. He left a meeting of the Church Assembly to talk to The Evening Mail about the situation. tonight and will consider the matter tomorrow,” he declared. But despite the Ministry’s statement about the uncertainty of the project so far, the farmers of the Ulverscroft Valley district are disturbed. Owner of a 500-acre farm, and living at Charley Hall, Mr. W. Blackett is concerned about the disruption of his drainage system, “which is bound to follow if the scheme goes through,” he said. A few hundred yards from Charley Hall is the farm of Mr. G. S. Potter. Mrs. Potter said that the proposed road would cut through their land, creating water and cattle problems. Probably the worst affected if the plans go ahead would be Mr. Bill Yates. He owns Hill Farm, which used to belong to Mr. Blackett, and the highway would cut straight through his farmyard. Mrs. Yates said that this might be compensated by further amenities, such as electricity, bus services or water supply, being available. The Charnwood Forest farmers are not going to take the Ministry of Transport’s proposals lightly – not by any means. Sir,- Surely Forest lovers will rise in indignant protest against the proposal to run the London-Yorkshire motorway through the Charnwood Forest. There must be an alternative route which will leave this picturesque region free from the bustle of heavy traffic with the inevitable loss of amenities. I am surprised that the Forest project has received the blessing of Leicestershire County Council, a body which should be the jealous custodian of forest rights and ever ready to preserve this wonderful heritage. Petitions should be organised against this vandalism. Blasting Charnwood off the map? I warned you last July that the vandals of officialdom were out again surveying Charnwood Forest with their theodolites. I was then in touch with the non-committal Ministry of Transport – and warned you that they were again thinking of blasting Leicestershire’s playground out of existence for the sake of the new autobahn. THE MOTORWAY MUDDLE, I called it – and you saw another stage on Wednesday of this week. On that black day, the County Council – against the wishes of the great majority of people who pay the rates in Leicestershire and against the advice of their own experts, the County Council Planning Committee – decided to support the Government’s motorway line RIGHT ACROSS THE MIDDLE OF THE CHARNWOOD FOREST. When I discussed the frightful possibility of this countryside desecration some months ago, Sir Robert Martin backed me up, wholeheartedly. “A CALAMITY OF THE FIRST WATER,” WAS HIS DESCRIPTION. This is a miniature area, unique geologically and botanically and of unrivalled scenic value – and the effect of the autobahn would be comparable to driving a main-line railway through Kew Gardens. The rocks are volcanic in origin – perhaps a thousand-million years old, says head of the geology department at Leicester University, Mr. J. Whittaker. He points out that, when students take samples of this unique rock, they are careful not to hammer unnecessarily or deface the surface of the area. But now the County Council decides to back a plan to blast and bulldoze Charnwood off the map as a tourist attraction. Sir, – We badly need some motorways. Now, because there is a proposal to have the new London-Yorkshire highway routed through Charnwood Forest, there is an outcry. Is it not a fact that the alternative Soar Valley route would affect more rich agricultural land? I should say some of the Forest land is not of the best quality. In any case, there is still the chance of objectors gaining their point. I admit that I am surprised that Leicestershire County Council voted against the opinion of the County Planning Committee. Five years ago, the very County Council that has now come out in SUPPORT of a plan to drive an autobahn across Charnwood Forest, published a book. It was quite a costly publication and it was written as a survey by their County Planning Officer, Mr. C. N. Hadfield. “Charnwood is unique in more than scenic and geological value. No book devoted to descriptions of the beauty spots of this country is complete without some mention of Charnwood, while it has been included as an area worthy of special consideration both in the Dower Report on National Parks and in the later report of the National Parks Committee. Leicestershire is fortunate in possessing such a valuable heritage, of which the residents of Leicestershire are the fortunate guardians. So where do they go from here? Publish another book, on the scenic beauty of flyovers and figure-eights? Surely Leicestershire County Council have made the right decision regarding the motorway through Charnwood Forest. Our children’s children will need food and one acre in the Soar Valley is worth 100 of the Forest for food production. Some of the land of the Forest is poor and full of rock, and in a dry year will not even grow bracken. Too much good agricultural land has already been wasted, and what good would a beautiful forest be, if the people were on a starvation diet, which, believe me, could happen, if this mad use of land goes on. It is painfully true that world population figures are still racing away from world food production returns. -even if country folk don’t like it! SIR, – SO, THE VORACIOUS JUGGERNAUT OF “CIVILISATION” IN THE SHAPE OF THE MINISTRY OF TRANSPORT, IS THREATENING LEICESTER’S QUIET AND BEAUTIFUL PLAYGROUND, THE CHARNWOOD FOREST, AND LEICESTERSHIRE IS APPARENTLY UNAPPRECIATIVE OF ITS UNIQUE POSSESSION. The County Council, so you tell us, proposes to sacrifice this most beautiful and almost unspoiled section of the county to the false god of Progress. Probably Leicester citizens appreciate Charnwood Forest more than do their brethren in the county. To us, Charnwood, with its quietude and beauty represents refreshment and rejuvenation after the week’s noise and bustle in the city. There one can at last escape the continuous roar and smoke of the internal combustion engine and find peace. It is more important to preserve such an amenity for our descendants and for ourselves than to have one more noisy, fuming, arterial road blasting away peace and beauty. He evidently thought I should have raved much more enthusiastically about the loveliness of my own county. Perhaps in those days I too was guilty of taking Charnwood’s unique attractions for granted. Let me expiate that crime now by penning my protest against this proposed desecration and may I beg other Leicester citizens also to support that protest. ROAD PLAN MAY STOP HIS LAND GIFT TO LEICS. 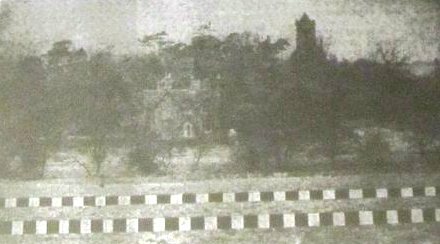 Photograph caption: The dotted line shows where the motorway passes in front of the vicarage. IF THE SCHEME TO ROUTE THE NEW MOTOR ROAD ACCESS ACROSS THE CHARNWOOD FOREST GOES THROUGH THE PUBLIC OF LEICESTERSHIRE MAY LOSE A GIFT OF LAND WITHOUT COMPARISON SINCE CHARLES BENNION GAVE THEM BRADGATE PARK IN 1928. Today, Mr. Shirley Clarke, of Charnwood Lodge, in the heart of the forest, said that the road proposal may cause him to reconsider a plan under which he intended to form a trust to give to the county and the nation a large tract of wooded hills and bracken areas which surround his home. “I am shocked and horrified at the proposal, as it appears it will affect my land and Charnwood Forest generally,” he said. “With my sister, Miss Clarice Clarke, I have spent half a lifetime here, raising the standard of the farms and improving the amenities of the area. In doing this, I have always been led to suppose that it was in some way protected. Now it seems it has no protection at all. Mr. Clarke, who is a bachelor and over 80, has lived at Charnwood Lodge for 46 years. Formerly he was a manufacturer in Leicester, but was advised to leave the city and live in the forest for his health. Most of his time has been spent in administering his big thousand-acre estate. He has helped farmers to raise the standard of their property and has undertaken widespread extension of water schemes. Facilities have always been available in the Charnwood Lodge estate for visitors, particularly geologists for the studying of rock formations in the area. with regard to the future of the land. During recent years he had gained the impression from certain correspondents that the land in the area was protected by law from changing. Notices had been served on him relating to the preservation of trees and the treatment of certain woods as a nature conservancy area. It is understood that Mr. Clarke made representations to the National Farming Unions on the question of the use of his land for the road scheme and received a reply that the union felt bound to disregard the personal aspect so far as the siting of the road was concerned. They must be influenced only by agricultural considerations. Yesterday Mr. Clarke was in conference at his home with the vicar of Oaks in Charnwood, the Rev. J.R. Aubrey-Cound. Fears that the new road would cut his parish completely, in half, leaving the church and vicarage on one side and about 1,000 parishioners in the direction of Shepshed on the other, were expressed by Mr. Aubrey-Cound. THE VICAR IS RALLYING OPPOSITION TO THE ROAD SCHEME IN THE AREA. He told The Evening Mail: “I have called a combined parish and vestry meeting to be held in the parish hall at 7.30 on Thursday, November 28. The parish meeting I have called as clerk to the parish council; the vestry meeting I have called as the incumbent. Discussing the way the road plan has been introduced to the public, the vicar pointed out that the parish councils concerned had not been consulted in any way. One thing which he thought had not been given sufficient consideration was the possible effect of the sudden introduction of a large road on the water supply to the town of Loughborough, which is largely drawn from the Charley Vale. On how the introduction of the road might be resisted, the vicar said he considered an analysis of the Enclosure Acts, as they affect the forest area, might strengthen the case of those who oppose the road. He also thought stress should be laid on the fact that the forest had always been regarded as a green belt and therefore an area worthy to be preserved. Today water officials from Blackbrook Reservoir, from which Loughborough obtains its principal water supplies, were making a routine inspection of the stream which feeds the reservoir. The inspection was being carried out at the crossroads below Ives Head at a point where the site of the proposed new motorway touches the banks of the stream. One of the officials, Mr. E. Parkinson, confirmed that the construction of the road in proximity to the stream would create a tremendous problem of possible water pollution. He said it would be necessary to devise a scheme to keep oil and drainage water from the highway from entering the brook, one of the purest in Leicestershire. For many years the stream has been guarded against any form of pollution whatever and raw water from the brook is almost drinking water standard without any treatment. It is understood that the future of Blackbrook Reservoir as Loughborough’s main water supply is in any event limited. When the town receives its quota from the Dove scheme it will be possible to treat the Blackbrook Reservoir as a reserve emergency supply only. This however would entail its maintenance as a reservoir and its protection against pollution. It appears that the motorway site is at one point actually over the stream supplying the reservoir. In moving in a northerly direction it would approach the bank of the reservoir and at one point might actually touch the present water area. It would then pass on bisecting the service road to the reservoir dam and the main Loughborough to Ashby-road and go in a line across country between Belton and Long Whatton. It is thought that no demolition of property would be involved by the siting of the road but considerable engineering work including the removal of small hills and the use of the material obtained from them in filling valleys would be necessitated. Photograph caption: Loughborough water department officials were on the line of the new motorway today. Loughborough’s Blackbrook supply lies within a few feet of the new road and fears of pollution are being expressed. It has now been revealed that a sub-committee of the National Farmers’ Union in Leicestershire was set up two years ago with the object of diverting the motorway over Charnwood Forest from the Soar Valley route. “You can eat food, but you can’t eat beauty,” said local N.F.U. secretary, Mr. E.P. Brookes. The recommendations of this sub-committee – that a route over Charnwood be “less disruptive to agricultural production than in the Soar Valley” – was made to the Ministry of Transport via the London headquarters of the N.F.U. Ministry surveyors then charted a new route, which was supported by the county council last week, against the advice of the county planning committee. It cuts into the forest just north of Groby Pool. It will be in sight of Bradgate Park and Newtown Linford and will pass alongside the Scout camp at John’s Lea Wood and alongside the 12th Century Ulverscroft Priory and through the beautiful Ulverscroft Valley. It will then skirt the front garden of Charley Hall and pass Blackbrook reservoir. The alternative Soar Valley route went through potentially richer farmland, but skirted Charnwood and followed a line already cut through by the A6 and the Great Central railway. Big new roadways must obviously be built across England, and the sooner the better. The Great Traffic Crawl through industrial towns today is crippling to transport efficiency, to industry and the country in general. Then what are the facts that rile, about this latest motorway route which was approved – against the advice of its own Planning Committee – by the County Council last week. They are contained in the way in which this matter is being conducted, as much as what is actually being done. Affecting a unique amenity area and a stretch of country that is unrivalled in scenic and geological value in the Midlands, the issue concerns every person in the county. So there should be no secrecy to cloud the argument, or suspicion of pressure-group activity. 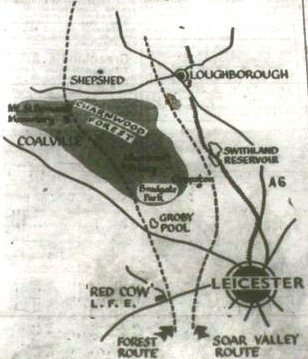 Let us remember that it was Leicestershire that asked for an alternative plan when the road was originally routed over the Forest. Sir Robert Martin and the County Council led a vigorous protest. Now, however, the same County Council has supported the route across Charnwood after all and we learn that a sub-committee of local farmers has been busy petitioning the Ministry of Transport to shelve the Soar Valley alternative scheme. The County Planning Committee says that less farmland would actually be disturbed on the Forest route. Who is then to decide the right course? Certainly it should not be decided behind the closed doors of the Ministry of Transport, the County Council or the National Farmers’ Union. The Evening Mail obtained the proposed route and made it public. It should have been made available to the public from the start. Unrest and opposition to the scheme is mounting. There should be a public enquiry to thrash out this matter. So this is why they conserved Charnwood! THE CHARNWOOD MOTORWAY DECISION BY THE COUNTY COUNCIL MAKES A MOCKERY OF LOCAL GOVERNMENT. That is we had been strictly overseered when wishing to build extra premises and directed as to exactly what materials and designs it would be possible to employ. We have co-operated in tree preservation and tree planting and have gone to extra expense to ensure that the unique character of Charnwood was perpetuated. So that’s what we so carefully conserved it for, was it? A 100-ft, concrete, desecrating autobahn. THE LEICESTERSHIRE TRUST is to “press strongly” for a Ministry of Transport public inquiry into the London-Yorkshire motorway, planned to cut through Charnwood Forest. The Trust – designed to conserve sites of historical and natural history importance in the county – held a meeting last night, when the Charnwood route was discussed. “We feel that since there are so many strongly-held views in the county about the route which the motorway will take, there must be a public inquiry held by the Ministry. The chairman of the Trust is Sir Robert Martin, who is also chairman of Leicestershire County Council. The Trust patron is Lord Cromwell. The Trust’s decision reinforces the plea made last night in The Evening Mail leading article which ended: Unrest and opposition to the scheme is mounting. There should be a public enquiry to thrash out this matter. Today the Rev. J.R. Aubrey-Cound, vicar of Oaks-in-Charnwood, told The Evening Mail he had received many letters from people who sympathized with him in his fight to prevent the road being made across the Charnwood Forest. “I think a big public meeting of protest should be held in Leicester,” he said. Many of us in Leicester note with concern your approval of a plan to build a major arterial road through the Charnwood Forest area of Leicestershire. Perhaps you do not realize that Charnwood Forest is Leicester’s favourite “Playground.” At weekends, Leicester’s tired workers like to repair to this quiet and lovely spot to refresh themselves for another week’s work in the smoky and noisy city. This amenity has been appreciated by city people for generations and it will be a great loss to them if its quietness is lost and the safety of its by-roads for young cyclists etc. is impaired. Only Leicester people will realize fully what Charnwood means locally, but the area is unique geologically. Though small, it is a beautiful section of our national heritage which should be preserved for tourists and for posterity to enjoy. A Scottish colleague of mine loves it because it is like a little bit of Scotland. I am sadly afraid that the local farmers take the beauties of the countryside too much for granted; they see land only in terms of yield per acre. They do not realize that man does not live by bread alone, but must feed on beauty also. Friday 22 November 1957, LEM, p. ? beauty spots for their refreshment. If you MUST think in terms of utility, then reflect that Charnwood has its utility in this aspect – as an amenity for the city workers. I hope you will reconsider this plan in view of the distress caused to local people by this proposal to drive an arterial road through Leicestershire’s most treasured beauty spot. No wonder the Leicestershire Trust is calling for a public inquiry on the Charnwood motorway. Their own counsels on the matter must be very divided with the champion of the Forest, Sir Robert Martin, as chairman and one of the leaders of the anti-Soar Valley group, Lord Cromwell, as patron. One would have thought a Trust with such a sacred charge would have wanted to make its own mind up. “THE ROAD MAY NOT GO WHERE THEY THINK IT WILL,” HE DECLARED. He was replying to questions put to him by the Evening Mail on the outcry following The Evening Mail disclosures that the London-Yorkshire motorway would cut through the heart of Charnwood Forest. He contended that, so far, the line of the motorway, that north of Dunchurch, Rugby, had not yet been published. “People who are objecting to where they think the road may go, are getting upset unnecessarily. The road may not go where they think it will. The time for objections to the routing of the road through Leicestershire has not arrived. The spokesman would make no further comment. The line of route may not have been “published” technically inasmuch as there has been no official release of a map, writes The Evening Mail reporter who spoke to the Ministry, but it is known that a map shown to members of the County Council coincides in clear detail with the sketch map compiled by The Evening Mail as a result of investigations. People living in the Charnwood Forest who have raised objections also have been left in no doubt by surveyors on their land where the road is going if the Forest route is chosen. A possible – and encouraging – explanation of the Ministry’s “don’t get upset too soon” appeal is that heed is being taken of the demands made by The Evening Mail, the Leicestershire Trust and others for the Forest to be saved. SHUFFLING – See Leading Article in Page Two. The replies of the Ministry of Transport spokesman to this paper’s queries on the proposed route of the new Leicestershire motorway are a classic example of bureaucratic shuffling. The route has been published by The Evening Mail and there is no doubt that that is the route which the County Council – against the advice of its own Planning Committee – approved a few short days ago. And that route runs a searing strip of car-fumed concrete straight across Charnwood Forest, Leicestershire’s much-loved beauty spot. The Ministry spokesman does not deny that this route has been chosen or that The Evening Mail map of it is in one whit away from the true line. He hedges by saying that the route has not yet been officially published. The Ministry is shuffling violently to avoid letting the public know what the public has the right to know. It is not only shuffling, it is wavering, thanks to the outcry that has followed The Evening Mail’s disclosure of the route. Though there has been a strange silence from some quarters usually highly vocal on such matters, the Leicestershire Preservation Trust, the most influential body of its kind in the county, has joined this paper in demanding a public enquiry. All those who have enjoyed the beauty of Charnwood and wish to preserve it should continue the outcry until the Ministry changes its decision or holds a public enquiry. Sir, – May we ask your readers not to be hoodwinked by the replies given by the spokesman of the Ministry of Transport regarding the route of the London-Yorkshire motorway because it is a well-known fact that the deposit of plans and publication of a Draft Order is a tiresome procedure which has to be complied with under the Special Roads Act? Although the public have the right to lodge objections to the Order we have yet to read of objections being sustained and a road project being abandoned. The same could apply to Charnwood and we therefore urge your readers to shout now so that the walls of Whitehall begin to quake. The farmers and landowners of the Soar Valley have already wooed the Ministry and no doubt are feeling very pleased with themselves in knowing that their case has also received the blessing of the County Council. Worthier pens than mine have already extolled the beauty of Charnwood and much sadness will be caused in the hearts of thousands of Charnwood lovers if further desecration is allowed to take place. The council of our-sub-region, who speak for 2,500 members, have agreed to support the objectors to the proposed Forest route but we are still waiting for a definite lead from the Leicestershire Preservation Trust. Are they going to call a meeting of interested bodies? The preservation of the countryside is one of the major aims of our association and we are prepared to do our bit so that generations to come may share in the godly inspiration which comes from the quietness of Charnwood. Leicestershire and Rutland Youth Hostels’ Association, 49, Shakespeare-drive, Braunstone. SHEPSHED URBAN COUNCIL LAST NIGHT JOINED THE GROWING OPPOSITION TO CHARNWOOD FOREST AS THE LINE OF ROUTE FOR THE LONDON-YORKSHIRE MOTORWAY WHEN IT CROSSES LEICESTERSHIRE. The threat to the Forest was discussed by the council, and it was agreed to support the protests that are being made against the County Council’s support for the Charnwood route. Coun. W.A. Danvers said it was a great shock to him when he read of the plans to cut the road through the Forest. While it did not concern Shepshed as a council, local residents were going to lose some of their most beautiful surroundings, and when one realized how much would be lost, he did not think the County Council had given the matter sufficient consideration. If the proposals went through, it would be one of the greatest tragedies country-lovers had suffered, and the only word to describe it would be sacrilege. Coun. M. H. Bristow said that there was little enough good countryside left without the County Council spoiling the one beauty spot in the county which, as yet, had been left untouched. Coun. F.A. Smith said he was not satisfied that all these trunk roads were necessary. They used up a tremendous amount of good agricultural land which was badly wanted for food production. HE THOUGHT SOME PEOPLE WERE GOING CRANKY ABOUT ROADS. The council decided to use all means at their disposal to try and prevent the road being taken through the forest and support the protest meeting at Oaks in Charnwood tomorrow night. The meeting – in Charnwood church hall – is being organized by the Rev. J.R. Aubrey Cound, Vicar of The Oaks. “This is a parish meeting and a vestry meeting combined and it is being held specially to protest against the road being cut through the Forest,” the vicar said. He said recent enquiries had confirmed the view that the Forest is one of 52 conservation areas set out by the Hobhouse Committee under the national Parks Act as areas of outstanding natural beauty which should be protected under the order. He stated that the parish council of Charley had unanimously passed a resolution objecting to the route of the proposed motorway. Mr Aubrey-Cound said he was hoping that a church in Leicester might offer its parish hall free so that a protest meeting could be held in the city. TWENTY SEVEN PEOPLE last night defended the cause they believe the Leicestershire County Council has officially abandoned – the sanctity of the Charnwood Forest. As near to anger as their status of dwellers in Leicestershire’s most tranquil setting would allow, they attacked and denounced the plan to cut a huge motor road through the heart of Charnwood. Those who framed their protest met in the leaf-green painted wooden hall beside the Oaks Church where ragged banners still hang to remind visitors that the church was dedicated on Waterloo Day, 1815. They were parishioners of Oaks-in-Charnwood and electors of the wider civil parish of Charley. In calling them together the vicar of the Oaks the Rev J. R. Aubrey-Cound had invoked the ancient right to hold a joint vestry and parish meeting. It ended with a unanimous resolution strongly objecting to the proposed motorway which it claimed would destroy the amenities of the forest. Copies of the resolution will go to the Government, the Leicestershire County Council, local authorities and the Bishop of Leicester. ( ? ) months’ time a full meeting of the county council could override the recommendation preferring Charnwood forest to the Soar Valley as a route for the proposed road, was discussed. A call for a public enquiry was also made, although these matters were not embodied in the resolution. Vicar who is hon. clerk to the council. “If the road comes to Charnwood, Charley Vale will be rent in two. Speaking as chairman of this ancient meeting, I say it will be a tragedy. “This is one of the most beautiful parts of our county. I speak from the power of the blood within me.” – he is a native of the Welsh mountains –“You have known this beautiful part of England from your schooldays. Don’t stand by and see it made into a highway. “I make an appeal for the people’s sake, for the common man’s sake, for the sake of those who work in the pit, the factory and the shop. Of the road itself, the vicar said its 120-foot width and its fly overs and tunnels would inevitably mar the forest. He was satisfied that previous planning directions aimed at preserving the forest, had clearly established it as a special conservation area. He thought a study of the original instruments of enclosure would strengthen the case of the opponents of the road scheme. In his view, pressure had been brought by agricultural interests to route the road through Charnwood. In any event, Charnwood had a special value for the raising of beef and wool stock. ALTERNATIVE ROUTES FOR THE ROAD COULD BE FOUND OUTSIDE LEICESTERSHIRE. 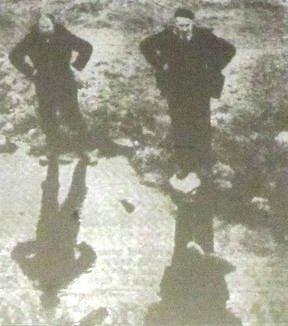 Mr Aubrey-Cound then sounded two warnings: firstly that the presence of the motorway could contaminate Loughborough’s Black Brook Reservoir water supply and even effect the wells from which forest dwellers drew their water. Secondly that the earthquake earlier this year was centred in Charnwood and showed its volcanic nature rendered the forest unsuitable for a big highway. “There is volcanic powder under us tonight,” the vicar added. Mr. Maurice Henry Bristow, a schoolteacher and a member of Shepshed Urban Council, said he had come to Leicestershire from the concrete jungle of London. A road through the forest would be accompanied by the usual road furnishings of filling stations and signs out of keeping with the national heritage and a lovely forest could become a sprawl. Lifelong forest lover and county councilor 70-year old Mr. Trevor Blood, of Shepshed, declared “I feel extremely pained that we should be vetoed at the eleventh hour. With towns full of poison gas from motor cars, people come to the forest for refreshment. A good lungful of forest air is better than phenobarbitone. The chairman said people would know from The Leicester Evening Mail that something had stirred in the forest. He announced that a meeting of the parochial church council would be held on the first Tuesday in December to discuss the road proposal from an ecclesiastical point of view. Newtown Linford Parish Council also discussed the motorway last night and decided to send a strong protest to Leicestershire County Council. Several members of the public who attended the meeting were invited to air their views by the chairman, Mr. Harry Stopper. A local farmer, Mr. A.R. Bown, of Lenthill Farm, in the village, said he did not think it was the slightest use protesting against the route unless some concrete suggestion was made and a large protest meeting held in the city of Leicester in a hall to accommodate 20,000. The vicar of Newtown Linford, the Rev. H.P. Hargreaves, did not think people would attend a public meeting in large enough numbers to give the project the publicity the promoters would require and favoured a petition. Several members of the council were surprised at the Leicestershire County Council approving the route. Mr. H.W. Watterson, county council member for the district, assured the meeting that several sub-committees of the county authority did not approve the route and the county council were not the arbitrating authority in the matter. The Evening Mail has championed the cause of the Forest ever since the shock decision of the county council was announced in this paper on November 13. Evening Mail research led to the production of the first sketch map showing in clear terms the “top secret” line of route that was threatening the Forest. This was followed by the announcement in The Evening Mail on November 21 that the Leicestershire Trust called for a public enquiry into the matter. Sir, Although they might not realize it at the moment, many thousands of people are going to be profoundly affected by the trunk road from London to Yorkshire if it is allowed to take the proposed course through the middle of Charnwood forest. I also feel very strongly that in years to come, future generations will rightly accuse of us of bad planning lack of forethought and false economy. Young persons today are being taught to become nature lovers from their earliest school day, and in a highly industrial area and era, this healthy outlook must be given every encouragement. If we allow one of the country’s oldest natural parks to be cut in half by an artificial road with its accompanying contemporary concrete bridges, culverts and adornments (even though the Forestry Commission will try to hide it artificially) then I forecast that our children will hold us guilty of mutilation. (1) A new road is absolutely necessary and urgently required. (2) It must, of necessity, take a line where it uses the least amount of good land. (3) The west side of Leicester on or near its present road seem the most practical. With this in mind, I put forward the following suggestion, that from a point near Glenfield the new road follows the present track of the main Leicester-Coalville road to a point approaching Copt Oak, and that a minor road be built to the west of Markfield to take the present Leicester-Coalville traffic. It would mean that the road could not be seen from Bradgate Park and the solitude of Ulverscroft Priory would remain inviolate. It would be much cheaper to make. It would leave the natural by-ways and woods of the Forest untouched. It would save agricultural land. These decisions should be the responsibility of all Leicestershire people, and I would like to propose a public meeting, before it is too late, and that a committee be formed to organize a petition to be forwarded to the proper authorities. If I receive support for this suggestion, I will arrange to hire a hall early in the New Year and give publicity to such a meeting. Lenthill Farm, Newtown Linford and Milligan Mills, Aylestone, Leicester. Mr. Nicholson of the Nature Conservancy called a meeting about two years ago when it was decided to form the Leicestershire Preservation Trust. Since its formation we have heard very little of their activities, but the choosing of the Charnwood route for the London-Yorkshire motor road must be regarded as a direct challenge both to them and to all the various bodies whose aims are for the preservation of the countryside. It is up to us all to support them to the full in their endeavours as it is obvious that the County Council have succumbed to the present-day lust for so-called “progress”, and are prepared to accept as inevitable the continuous encroachments into what is left of nature’s beauties in this county. ALL LEICESTERSHIRE is being mobilized to fight the proposed 120ft motorway across the Charnwood forest. A countywide petition is being raised in protest, it is announced today. Its aim is to present 50,000 Leicestershire signatures to the Ministry of Transport. The petition says: “We the undersigned earnestly beg the Minister to avoid taking the London-Yorkshire motorway along the proposed route through Newtown Linford, Ulverscroft and Charnwood, as this area is already scheduled for preservation by the Ministry of Town and Country Planning. The Ramblers’ Association of Leicestershire and Rutland decided last night to sponsor a petition and The Evening Mail whose disclosure of the “secret” route planned for the new motorway touched off the storm of protest that has followed, gladly promised full support in the campaign. This morning, new weight was given to the drive by Newtown Linford farmer and city hosiery director, Mr. A. R. Bown, who was about to organize his own petition. He has now agreed to join the Ramblers’ Association and others concerned in the petition effort. Forms are being printed and it is hoped that the petition will be in full swing all over Leicestershire by next weekend. Forms will be available at the Evening Mail head office in London-road, Leicester and at all its branch offices (full list below), in public houses, clubs and shops. “We will picket all visitors to Bradgate Park and the Forest,” said Mr. Bown. Leicestershire Car Club, the A.A. and R.A.C. and the vicars of every parish in the area, besides all individuals who come forward to help. “This is more than just a local matter. It is the duty of every resident of Leicestershire to co-operate irrespective of his own personal interests, to preserve this area for posterity. “Together with the Ramblers’ Association and The Evening Mail we must fight so that future generations will not hold us to blame for a gross piece of mutilation. “The County Council’s decision to support this Forest route against the Soar Valley route – against the advice of their own planning committee – was very bad. Other places where the forms will be available will be announced next week. See also, “Why Charnwood is unique” – special article in Page Eight. (Sketch map with caption): THESE ARE THE TWO ROUTES IN DISPUTE – the Soar Valley route, recommended by the County Planning Committee, and the Forest route, backed by the last meeting of the County Council. Publication of these routes by The Evening Mail on November 19 sparked off the growing protests. Sir – Cities and towns are overflowing into the country and little is done about it. It is, therefore, most necessary that remaining nature preserves should be kept unspoilt. Charnwood is the playground of many thousands who return to their work refreshed by a visit. Let those who believe in rural preservation join in the protests against the making of a trunk road through this beautiful region. I want to know who is benefited by the proposed new road through Charnwood and also I want to know why so many popular figures in this city are silent and will send us no support where we want a different arrangement. Let them speak and not leave it to a handful of country-lovers who need aid. I call upon all good people to support the movers against the new road as it is now proposed. 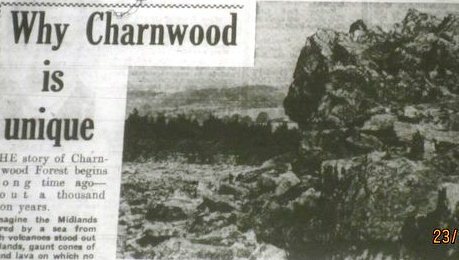 Charnwood was set aside as a geological possession in 1812 – let us now hear from our local geologists. My sympathies are with all who love Charnwood and would keep it. It takes a great deal to move stupid people. Only stupid people would build through such a treasure as Charnwood. The story of Charnwood Forest begins a long time ago – about a thousand million years. Imagine the Midlands covered by a sea from which volcanoes stood out as islands, gaunt cones of ash and lava on which no plants grew and no animals moved. These barren volcanoes erupted time after time, blanketing the sea-bed with layers of volcanic ash and hot streams of lava. As these materials accumulated the lower layers were compressed and hardened into rock. A pile of strata two miles thick formed in this way, before great forces in the earth’s crust buckled them into a broad arch, raising them high above the level of the sea. During this upheaval, the rocks were altered by heat and pressure into slates and splintery hornstones, while molten granite was squeezed into the deeper regions. This upheaval produced a range of mountains which were sculptured by the wind and rain though many millions of years after the eruptions ceased. By the time of the very hot Triassic period, some 160,000,000 years ago, the mountains had been worn down to craggy hills, and we must visualize dark, wind-polished cliffs overlooking a dusty desert plain spread with sand dunes. Layer upon layer of soft red marl and shifting sand piled up, until at last even the tops of the hills were buried. Long eons passed before Charnwood was again uplifted and the wind and the rain began to strip off the soft mantle of red marl and sand, exposing once more the hard volcanic hills. During the Ice Age, the scene was altered a little, but what we see today is essentially this: flat-laying layers of red marl partly removed by erosion, exposing many crags of gnarled volcanic and granitic rocks, remnants of the ancient mountain chain. By now, you may be wondering just where you might see these different rocks. The ancient layer of volcanic ash can be found around Old John in Bradgate Park, at the Altar Stones there or on Beacon Hill. Lavas are quarried near Whitwick and also form the imposing crags of High Sharpley, while the once-molten rocks squeezed into the mountain roots are exposed in the great granite quarries at Groby, Markfield and Newhurst as well as in Bradgate Park near the Newtown Linford entrance. Not far away in the park, in “Little Matlock”, soft red and green marls of the Triassic blanket form a small stream-side cliff, and these same soft rocks cap many of the granite quarry faces. The red soil of the arable land in the Forest tells of these marls beneath – land which contrasts so strikingly with the rugged bracken-covered volcanic crags which crop out at nearly a thousand different places. The rocks of Charnwood are geologically unique and, although we know something of their story there is still much detail to be learned. Work is in progress, using modern scientific methods and ideas, and one day we hope to be able to give a fuller picture of the great events which built up Charnwood Forest as we know it today. Photograph Caption: As well as glorious views over Nanpantan and the Forest, geologists find these rich outcrops of volcanic ash rocks at Beacon Hill. [This is just a mention in passing, in the ‘Old John’ column. This snippet was talking about the lovely unseasonable weather and that crowds had been out enjoying the weekend]. …..’Many more Sundays like yesterday and the motorway petitioner hunters will have a profitable Winter’. Letter from Florence E Pole, Secretary, Leicester and Rutland Area Ramblers Association. ‘SIR, It is both heartening and gratifying to us in the Ramblers’ Association to see the wave of protest which is mounting against the decision of the Leicestershire County Council to route the London to Yorkshire motor road through Charnwood Forest. We are also indebted to your valuable newspaper for the excellent publicity you are giving to this matter. We were shocked and astonished to learn of this decision of the County Council particularly in view of its past efforts to preserve the beauty and amenity value of the Charnwood area. Meetings of protest are already being organised – these will no doubt multiply. ‘SIR, I cannot understand the protests against the proposed new motorway through Leicestershire. The road will mean speedier transport and better conditions for the men who make their living by driving through darkness in all kinds of weather. We get an uproar from people who are going to benefit from the road yet the vilest death-dealing weapon ever invented by man has been allowed to be brought into this country from America. Over 50 offers of help have been received over the weekend by the organisers of the Hands-Off-Charnwood petition. Mr A. R. Bown, the Newtown Linford farmer who has joined the local Ramblers’ Association and the Evening Mail in their petition effort, gave this figure today. “I’m delighted with the enthusiastic response” he said. Attracted by a golden autumn day and the sharp air of Leicestershire’s loftiest countryside, visitors went in force to the Charnwood Forest yesterday. Among them were many forest lovers – and not all from Leicestershire – who had heard of the proposal to bisect the area with a motorway and were prepared to denounce it. From an early hour people were driving their cars along the Charnwood lanes and climbing over its magnificent rocks. Among those who went out to enjoy a golden day and found the road scheme proposal a reason for indignation was Miss Kathleen Flemons, a sister of Middlesex hospital , who was on a weekend visit to the county and made her usual trip to the Forest. Not far away at the Swainmote Rock was Mr Frank Eldred of 64, Chadwick Avenue, Derby. He was spending a Sunday with his children, Linda, Susuan and Brian in the Charnwood setting that he knew as a former resident in Loughbrough. Does anyone know route of motorway? Asking for information about the precise line of the London to Yorkshire motorway through Leicestershire at last night’s meeting of Loughborough Town Council, Coun. Guy Moss said there had been so much speculation that no doubt members would like to have some definite details of the alignment at present being discussed. Was the time ripe – in fact was it possible yet – for members of the Highway Committee and the council to be given this information? he asked. It was “so confusing” when there was so much talk about the proposal, so much being written in the Press and apparently so many conflicting interests, even in the County Council. Housing Committee chairman Ald. George Dean, said his committee would also very much like to know the position of this proposed road. “We are not yet satisfied on how far we can go on our present building sites – we are as anxious as anyone to know the line of the road, but we are unable to get it at the moment” he said. Replied Highway and Planning Committee chairman, Coun. Claude Liddle: “The Northern Area Planning Committee would also like to know where it is going. And possibly it is true to say that the Minister of Transport himself would be delighted to have some information”. GROBY, the village with the pool that is known to nearly everyone in Leicestershire, is indignant about the suggested motorway across the Charnwood Forest. The scheme to run the motorway across the Forest, which has already received the blessing of the Leicestershire County Council at the same time sparking off vigorous protests both inside and outside Leicestershire, has been devised to avoid as many villages as possible. But, apparently, the road will score a direct hit on Groby as it bisects the main Leicester to Coalville highway at the village, about four miles outside Leicester. The new motorway approaches Groby from the Leicester Forest East side before plunging into its controversial route across the Charnwood Forest. At last night’s , meeting of the Groby Parish Council, Mr Q. K. Shooter said that if the proposed route were to be followed the village of Groby would be literally cut in half. Concern at the proximity of the road to Groby Pool has already been expressed by Mrs P. M. Logan of Pool House. “I have tried to make the pool a bird sanctuary,” Mrs Logan told the Evening Mail. Most of the water birds seem to favour the tail of the pool, and that is the part which I believe the new road will come closest. Groby people are considering what steps they can take to express opposition to the road project. The petition to the Ministry of Transport aimed at preventing a motorway through Charnwood Forest and demanding that the Forest be preserved “as a natural park for posterity” will be available all over Leicestershire from Saturday. Forms with spaces for 50 signatures each will by then have been distributed to the centres listed below. Other addresses will be announced later in The Evening Mail. Organisers of the petition – the local Ramblers’ Association, Mr A. R. Bown of Newtown Linford and the Evening Mail – have been overwhelmed by the response and congratulations received. More than 200 letters and phone calls have so far been received from people wishing to help with the petition forms. NUNEATON – 10, Church Street, Nuneaton. HINCKLEY – 3, Lower Bond Street, Hinckley. LOUGHBOROUGH – 2 Granby Street, Loughborough. MELTON MOWBRAY – 30a Sherrard Street, Melton Mowbray. COALVILLE – 29, Hotel Street, Coalville. Arthur Bown Ltd – Insurance Brokers, 119 London Road, Leicester. SPORTS HOSIERY LTD – Milligan Road,, Aylestone Park, Leicester. MR A. R. BOWN – Lenthill Farm, Newtown Linford. MISS FLORENCE E. POLE – 97, Brabazon Road, Oadby. THE REV. J. R. AUBREY-COUND – The Vicarage, Oaks-in-Charnwood. COALVILLE TIMES OFFICES – High Street, Coalville. LOUGHBOROUGH ECHO OFFICES – Swan Street, Loughborough. Anyone wishing to collect signatures on behalf of the petition can get additional forms from any Evening Mail office. Completed forms should be sent to the Evening Mail, 37, London Road, Leicester, as soon as possible. Now the ball is really rolling. The protest petition against the proposed motorway through Charnwood Forest (see page 1) organised by the Ramblers’ Association and Mr A. R. Bown, with the support of this newspaper will be under way at the weekend. The Evening Mail first brought this threat to the notice of the general public and since then the volume of protest has grown steadily. Protest meetings have been held and offers of help with the petition to the Ministry of Transport are coming in from many quarters. Despite vague ministerial statements that uneasiness about the route is “premature”, we believe that the Forest motorway plan should be challenged now, before it is too late. The attitude of those who oppose the route is summed up in the sentiment expressed in a County Council booklet only five years ago in which it was said, “Charnwood is a valuable part of the national heritage, of which the residents of Leicestershire are the fortunate guardians”. After that statement, could anything be more Gilbertian than the recent County Council decision – taken against the advice of its own planning committee – to cut the Forest in two with a motorway? For years residents in the Forest area have been subject to strict regulations in order to preserve the area from harm. How paradoxically it is that now the very authorities who imposed those regulations are apparently prepared to see the area mutilated. Michael Drayton, the 17th century poet penned these lines about Charnwood. The like in any place the flood has hapt to find? The aim of the petition is simple – to preserve for posterity the beauty that inspired those lines. We urge everyone who has enjoyed the peace and calm of Charnwood to demonstrate their feelings to the Ministry by signing the petition. Don’t leave your protest until it is too late. ‘SIR – People who feel strongly against the proposed highway through Charnwood do at least show their feelings and are loud in their expressions of love of Charnwood. Another amazing factor in the controversy is the apparent indifference shown by so large a proportion of the community. My own views are of course very strongly against any disfigurement of the Forest. I know many of its spots and corners and hidden beauties. I remember when I was in Africa in the last war how I longed for the green lanes, the woods, the wind blowing on “Sharpley” and the whispering voices of spring as the trees told stories to one another; stories that live and thrive in the hearts of great forests. Maybe if others cared for this haven of natural beauty as I did then and do still, the preservation of Charnwood would be accomplished and the roads could go on their way; and let Charnwood go on its way. Letter from D. T. Statham Barlestone Road, Bagworth. All the talk about banning the new motorway through Charnwood Forest makes me wonder how people could be so stupid. They talk of preserving a few acres of land, but little do they think of the increasing number of small children, and even elderly people, who are killed daily on our over-congested roads. The only way to keep the mortality rate down and to cope with this over-congestion, is to build roads that are able to deal efficiently with the traffic of today and even more important, the traffic of the very near future. Tomorrow is PETITION DAY. Climax of the Charnwood protest campaign so far is reached as the petition gets under way officially tomorrow morning. Already, forms have been distributed all over Leicestershire and surrounding areas. THE OWNERS OF OVER SEVENTY SHOPS, OFFICES AND PRIVATE HOUSES HAVE AGREED TO USE THEIR PREMISES AS PETITION CENTRES. At these centres – you will see a bold poster outside announcing – CHARNWOOD PETITION; SIGN HERE. This weekend, campaign cars and vans will be out all over Charnwood as mobile centres. And tonight, a special meeting of the local Ramblers’ Association – joint organisers of the petition – together with affiliated clubs representing several thousand members will meet in Leicester to decide how the campaign can be further widened. Final impetus was added today when Sir Robert Martin, Chairman of the County Council threw his personal influence into the campaign with a declaration in favour of saving Charnwood. “Personally, I would deplore the building of the roadway through Charnwood”, he said. He added that, as he was absent from the County Council meeting when the roadway decision was made, he had been unable to make any official statement. For full details of the petition together with addresses where forms can be obtained and signed – see page Seven. He signed as a private citizen of Leicestershire who was deploring the County Council decision to support a 120-ft wide autobahn through the Forest. His address – CHARWOOD drive Leicester Forest East. “I am all for progress but not for putting a six carriage-way motor road through such a beautiful spot” he said. Ald. Jackson was echoing the beliefs of the huge team that has already assembled to push the petition. Organisers – the local Ramblers’ Association, Mr A. R. Bown of Newtown Linford and the Evening Mail – have had hundreds of offers of help. ….from local firms, societies, public houses , clubs. Anyone wishing to collect signatures on behalf of the petition can get additional forms form any Evening Mail office. Completed forms should be returned to the Evening Mail, 37, London Road, Leicester as soon as possible. …from places as widespread as Ruddington, Notts to Evesham, Worcestershire. ….from school teachers, Scouts, vicars, cyclists, ramblers and motorists. …from people who are “picketing” Bradgate Park, Beacon Hill and the whole of the Forest area until the petition is completed. ….from individuals like the old lady who wrote” From the bottom of my heart, I thank the Eveneing Mail for the campaign they have waged”. One Leicester businessman feels so keenly about Charnwood that he has deputed one of his enthusiastic office staff to do no factory work for a fortnight but collect signatures instead. Mr A. R. Bown has written, among many other letters, one to Miss Marvyn PIke, MP for Melton. In her reply she says she is in touch with the Leicestershire Trust on the matter, who have demanded a full public enquiry. The Rev. J. R. Aubrey-Cound, vicar of the isolated parish of Oaks-in-Charnwood, who has been prominently associated with the campaign form the start, has sent a copy of his parish’s protest resolution to SIR WINSTON CHURCHILL. He has sent other copies to Ministers of State, Mr Jim Griffiths, Deputy Leader of the Opposition, Sir David Grenfell, Father of the House, Sir Evelyn Lucas, the noted country-lover, the Bishop of Leicester and the Council for the Preservation of Rural England. “We shall fight until this move is utterly defeated,” he said. WHICH MOVE? A move sponsored by the National Farmers’ Union and the Central Landowners Association to press the new motorway through the Forest rather than the Soar Valley, which is the route favoured by the County Planning Committee. Against the advice of this committee, the County Council, with farming members predominating, supported the Forest route recently, in the absence of Sir Robert Martin, “Champion of Charnwood” who was away in London. The protests against this decision reach their climax tomorrow as the petition gets officially under way – “officially” because some keen campaigners have completed their forms already and returned them to the Evening Mail office in Leicester where they will be stored until presented to the Minister of Transport. From tomorrow, posters will go up all over the county at places where the forms can be signed. Mr Blankley Coventry Road, Mr Oliver, Castle Street, Mr Compton, Sketchly Estate, Mr Palmer, London Road, Mr Roberts, Upper Bond Street, Mrs Grimes, Thurlaston, Mr Anderson, Sapcote Road, Burbage, Moore’s Ltd Burbage, Mr Mayes, Earl Shilton, Mr Allen, Stoke Golding, Mr Taylor, Sapcote. Mr Harpham, Cattle Market, Mr Sanders Market Street, Miss Mills, Ashby Road, Mrs E Cornes Ashby Road, Mr Newcombe, Oxford Street, Mr Scotton, Derby Road, Mr West Derby Road, Mr Smith, Derby Road, Mr Crump, Sparrow Hill, Mr Stark Tooshill Road, Mr Williams, Meadow Lane, Mr Harrod, Radcliffe Road, Mr Joe Smith, Notthingham Road, Mr North, Nottingham Road, Mr Hearn, Pinfold Gate, Mr Cornes, Leicester Road, Mr Kemp, Moor Lane, Mr Dickens, Empress Road, Mr Muddimer, Great Central Road, Mrs Gillott, Ling Road, Mr Dew, Ling Road. Mr A. J. King, Abbey Green, Mr T Hall, Queen’s Road, Mr C Harrison, Tomkinson Road, Mr S Morrell, Coton Road, Mr Daulman, 2 Coventry Road, Coton Arches, Mr L Greenway, Attleborough Green, Mr T. H. Allen, Weddington Lane, Mr T. Norman, Hill Top, Mr C. A. Goodyear, Oldbury Road, Hartshill, White Bros. Coleshill Road, Chapel End, Mr G. H. E. Grubb , Long Street, Atherstone, Mr Bailey, Tuttle Hill. Mr I. W. Parry, Hardware Stores, Sherrard Street, Mr J. Selby, The Black Swan, Sherrard Street, The K. J. Inkley, newsagent, Burton Street, Mt W. S. Bagshaw, Ironmonger, 2 High Street, Mr E. Hollingshead, sports dept, Nottingham Street. Mr W. Meadows, 83 Bath Street, Mr J. Hardcastle, 17 Nelson Street. Mr Victor Pochin – Leicestershire farmer and landowner, vice-chairman of the County Council and chairman of the County Planning Committee – today made a strong protest against the propsed Charnwood Forest motor Road. He signed a petition form at his home, Barkby Hall. And he refuted the case of the farmers and landowners who, he stated, had led the opposition to the Soar Valley route, together with Loughborough interests. “But, in fact, LESS would be affected eventually that way. “The Charnwood route is indeed 1 ¼ miles shorter than the Soar Valley bit is more hilly and would cost the taxpayer 1 ¼ million more, because of the extra constructional difficulties. “Motoring through the Soar Valley on the A6 is a hazardous business now and the new motorway would provide a relief to the area. Seventy-eight year old Mr Pochin, who was born in Leicestershire, added “For years, the county Council has tried to protect the Forest and if this filthy road is pushed through it would be tragic. Mr Pochin was chairman in the absence of Sir Robert Martin at the recent County Council meeting when the Forest route was supported. “The decision was taken, he added, “against the advice of both the County Planning Committee and the County Highways Committee”. The Charnwood Forest petition got off to a flying start on its first day today. The local Ramblers’ Association, Mr A. R. Bown of Newtown Linford and The Evening Mail – who are organising the petition – had requests for extra forms from some of the 70 centres that have been set up throughout the district. One Coalville shop had asked for extra supplies by noon, reporting that representatives from local factories and offices had called for forms to take round their works. Tomorrow mobile centres where petitions can be signed will be set up in Charnwood Forest, particularly on car parks and at Bradgate, Beacon Hill and Groby pool. Full list of places where forms can be obtained and signed – See page Six. ‘Mr Charles Sharratt of Burntwood, Lichfield, has no particular local interest in Charnwood Forest but he has heard about the proposed motor road through it. In a letter to a Leicester reader, he recalls a similar threat to Cannock Chase. “Have you got a Friends of Charnwood Forest Society?” he asks. “These people would be of immense help. If you have not got one, try to form one. It’s a worthwhile idea and one that might well be taken up now that Forest enthusiasts are banding together to resist the threat of the motorway through Charnwood’. Charnwood Forest petition forms are available at The Evening Mail , 37 London Road, Leicester and throughout the area at the following Evening Mail branches. ARTHUR’S HAIRDRESSERS – Biddulph Street ,Leicester. C.W.SMITH – NEWSAGENT – 135, East Park Road, Leicester. *New Mr Chamberlain, – Castle Street, Mr Spencer – Barwell. Forest “pickets” added 700 names to the Charnwood protest petition, while canvassing the area yesterday in high winds and beating rain. It was one of the poorest Sunday afternoons of the season for Charnwood trippers. But more than 90 per cent of those canvassed in car parks and at popular stopping points added their names. “If the Ministry men could have heard some of the remarks of those signing, they would have cancelled this road-scheme straight away,” said Mr A.R. Bown, of Newtown Linford. Mobile signing centres were set up in cars and shooting brakes and will be in action at weekends until the petition is complete. Mr E. Tyler, chairman of the local Ramblers’ Association which is organising the petition with Mr Bown and the Evening Mail – went to London to a meeting of his national executive at the weekend. He reported the Charnwood situation and was assured of full support. Hundreds of petition forms, again with space for 50 signatures, have been distributed to enthusiastic collectors over all Leicestershire and in surrounding centres. A campaign is being organised in Shepshed, where the local council passed a resolution of protest to the county council over their support of the Forest route for the new motorway. SIR – I should like to support all that has been written regarding the preservation of Charnwood Forest from this new trunk road. We, as a nation, are not nearly zealous enough to protect our countryside’s beauty. Only a few years ago an ugly line of electric pylons spoilt a large area of beautiful East Leicestershire countryside and no protest was made. Let us do all in our power now to protect the beauty of our own county from any further desecration. In these troubled days, we need the peace and beauty of the countryside more than ever before. CHARNWOOD inspires the poets. They go into rhapsodies over the rocks and see heaven in the lanes. That’s all very well, but what about the country’s out-of-date highways? We want more wide roads and if the best way is through Charnwood, then it should be taken. We must be practical in this modern age, and forget poets’ fancies. I could not agree more with your correspondent, Mr Killingley, about Charnwood Forest. To those who understand that the esoteric values of life are the most important, bringing concrete results and immediate returns in spiritual advantages, places of sanctuary such as the Charnwood Forest are a “must”. For such advancement one must have occasional solitude for sheer equilibrium in these difficult times. The beautiful forest has a quiet and peace which cannot be found near large motorways. It is an absolute antidote to modern living conditions. During the weekend I have had ample opportunity to discuss the Charnwood petition with many visitors from the city, and I am alarmed to find that quite a number are still not aware of the damage this proposed road would cause. (4). It would pass within a few yards of John’s Lee Wood, which is endowed for the use of the Boy Scouts and the camp site at Oaks-in-Charnwood. (5). This route goes through the very centre of Charnwood Forest, and in such a confined area it would be difficult to be out of sight and sound of it. When you are dealing with the bureaucratic machine the time to strike is even before the iron is hot. That is why the Charnwood protest petition organised by the Ramblers’ Association, Mr A.R. Bown and The Evening Mail is essential now. Those who sit, or rather balance, on the sidelines are at great pains to emphasise that the route of the proposed motorway has not yet been decided by the Ministry and that the move to save Charnwood is getting under way before it is known whether Charnwood is menaced. Those familiar with the routine of public inquiries and formal objections followed by “inspection of the site” by the man from the Ministry who announces that his “decision will be made known in due course” will realise how difficult it is to organise effective resistance at that stage. The Ministry may not have made its mind up yet – officially. We are trying to ensure that pressure of public opinion in the concrete form of thousands of signatures on the petition forms will urge him not to decide on the Charnwood route. The hard fact is that the County Council has changed its mind, ignored the advice of its Planning Committee and decided not to object to the Charnwood Route. When that happened The Evening Mail started its campaign by publishing the “secret” map of the proposed route. Public reaction was swift. Some people may be in doubt as to the reality of the threat to Charnwood. We are not. Neither are such knowledgeable gentlemen as Mr Victor Pochin, vice-chairman of the Leicestershire County Council who, with many others, have already added their signatures to the petition. There is no doubt that official opinion is being affected by the publicity and the petition. The organisers of the petition are trying to ensure that they do. In answer to A.R. Bown and Mrs Goodwin (who wrote about the proposed trunk road through Charnwood) the average person today is interested in the progress of the country as a whole. He believes that “spiritual sanctity” should be found in churches and chapels. The new road will bring more work and prosperity to the county. This means health and happiness to multitudes and will certainly do more good than one day’s hunting per week for a few people. NOTE: The organisers of the petition appreciate that a trunk road must be made through Leicestershire, but point to an alternative route as approved by the County Planning Committee of Leicestershire County Council. And City folk support them. THOUSANDS of Leicester people regard Charnwood Forest as “their own garden” and are indignant about the proposed trunk road through the beauty spot. The citizens of Leicester are as much concerned as those who live in the county and it would be a combined protest from both which would reap the fullest harvest. This was stated at a special Newtown Linford Parish Council meeting last night by Mr A.R. Bown the city businessman and Newtown Linford farmer. The proposed trunk road through the heart of the Forest was one of the main items on the council’s agenda and it provoked much discussion. A resolution, put by the chairman, Mr Harry Stopper, was passed. It said that the parish council very deeply deplored the decision of the County Council in recommending the route of the road to go through the Forest. It added that the meeting asked the County Council to use every endeavour to persuade the Minister of Transport against the scheme. “I have received scores of letters from city people who are indignant about the proposal,” said Mr Bown. He pointed out that 86 per cent of the traffic which travelled along the A.6. road from the city was bound for Loughborough and if the road was built in the Soar Valley – an alternative suggestion to the Charnwood Forest scheme – the bulk of this traffic would be lessened and money would be saved. “I suggest that the Members of Parliament for the city should be approached and I think they should support us because they represent the people who use the forest,” he said. Mr A.J. Gray, a member of the parish council, said that if the road went anywhere near Mount Saint Bernard Abbey in the depths of the Forest, the abbey and its supporters should be approached. At the abbey they have already signed The Evening Mail sponsored petition against the trunk road. Mr Stopper, in praising the Leicester newspapers for their support, said that the Leicester Mail was largely responsible for the interest shown in the matter by Leicester people. He pointed out to a questioner that copies of the resolution would be circulated to other parish and rural councils and to the County Council. A copy would also be sent to the Minister of Transport. COALVILLE is one of the centres that feels strongly about the proposed Charnwood motorway route. So strongly, in fact, that several vicars in the district have asked for petition forms to present to their congregations on leaving church this Sunday. When the organisers of the petition – the local Ramblers’ Association, Mr A.R. Bown and The Evening Mail – met at The Evening Mail offices in Leicester last night, it was estimated that about 900 forms, each with space for 50 signatures, were now in circulation. A SPECIAL ANNOUNCEMENT ABOUT THE PETITION WILL BE MADE IN THE EVENING MAIL TOMORROW. DR JOHN CRONIN, M.P. for the Loughborough division, which includes part of the Charnwood Forest said in London today that he is prepared to raise the Charnwood motorway problem with the Minister of Transport again. “Charnwood Forest is one of the loveliest places in my constituency. I would hate to see it turned into a sort of autobahn,” he told The Evening Mail London reporter. Dr Cronin said he wrote to the Minister some time ago, forwarding a copy of a letter he had received from a farmer–constituent, who was worried about the situation. Dr Cronin has replied to more recent letters from the Rev J. Aubrey-Cound, Vicar of Oaks-in-Charnwood, and Mr R. Hickling, secretary of the Leicestershire Trust, telling them that he had received no satisfaction from the Minister. A special announcement today in Page Eight. Now you have a chance to sign the Charnwood motorway protest petition round the family fireside. Look in Page Eight for The Evening Mail’s FAMILY FORM. If you feel you must record your protest against a 120-ft. autobahn being driven through Leicestershire’s lovely Charnwood, join in the outcry and SIGN NOW. IT was such an innocent query – or was it? Questioner was Mrs C. Mitchell-Lunes, farmer’s wife from Newtown Linford, at a meeting in the village to discuss the proposed Charnwood motorway. “Good gracious, but it will go near the quarry,” she said, as a county councillor present was explaining the route near Groby. Here is the chance for the family round the fireside to sign the petition against the proposed Charnwood motorway. All round the county and surrounding areas, centres have been set up in shops and factories, where the forms may be signed. But there must still be people who wish to sign the petition and who cannot get to one of these centres. For them, therefore, The Evening Mail publishes its FAMILY FORM. Sign here, if you wish to record your protest, and then take or post the form to The Evening Mail, London-road, Leicester, or to any Evening Mail branch. See special announcement in Page Eight. City Council to debate Charnwood? This week, the Lord Mayor of Leicester, Ald. Fred Jackson, will receive a letter from Mr A.R. Bown, who is organising the protest petition, together with the local Ramblers’ Association and The Evening Mail. In the letter, the Lord Mayor will be asked if the City Council cannot make their feelings known. Coun. A.H. Kimberlin told The Evening Mail today that if the opportunity was offered, he would definitely take the motorway issue before the City Council next month. More than 1,000 people visiting Charnwood signed the protest petition yesterday. “We met only half-a-dozen refusals out of more than 300 signatures. At Beacon Hill, queues formed at the entrance to the car park, while drivers, passengers and walkers signed the petition. At Bradgate, Mr Bown was helped by ramblers to collect signatures. He then went to Blakeshay’s Farm, Ulverscroft, where 40 cyclists from Matlock all signed their names. Impressions of a widespread interest in the campaign is confirmed by forms returned from Evening Mail branch offices. First full forms from newsagents have come from Earl Shilton, Hinckley and Nuneaton. Sir, – Having lived in the Charnwood Forest for the last 55 years, I cannot sit back any longer and listen to all the rubbish about the Forest land being unproductive. I admit that there may be stretches of unproductive land on the proposed new motorway route, but do not forget there are equally poor stretches in the Soar Valley route. Talking of production, this valley is carrying over 130 head of cattle, which in turn are all fattened on the farms – chiefly on grass. Over 90 gallons of milk are going into Leicester daily (15 gallons being retained for calf feeding) from 26 milking cows. With the exception of four tons of protein cake purchased, these cattle are fed entirely on food grown on my farms. Earlier this month I sent a consignment of fat heifers to Loughborough market. One of these heifers at two-and-a-half-years-old weighed 11 cwt. and made the highest price for heifers in the market. These cattle were fed in a field which is marked for the new motorway. The reason I have written this letter is that I think the public are being misled. I feel there is more behind the routing of this motorway than the production of the land concerned. The Save Charnwood campaign, promoted to fight the plan to cut a motorway through the centre of Charnwood Forest, finds a new champion today, who brings forward arguments based on the productivity of Forest land. 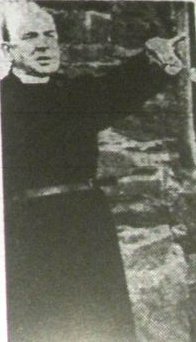 He is farmer Wilfred Blackett, of Charley Hall, near Oaks-in-Charnwood, and he denies that the Soar Valley has all the agricultural advantages which would justify its being avoided as a route for the new road. Many of the monks at Mount St. Bernard Monastery, in Charnwood, have taken a lifelong vow of silence, and therefore they are unable to speak their views on the proposed Forest motorway, which would pass within half a mile of their peaceful home. This has not prevented them from reading of the protest petition and signing it, however. Seventeen have put their names on a form sent to the monastery this week, including the Father Abbot. There are enough roads through Charnwood. Of all the arguments given in favour of the proposed new road through Charnwood Forest, surely the weakest yet is that suggested by your correspondent, W. Bunce. It is not denied that that there may be a need for a new motorway, but it is unlikely that those using it will have time or thought for scenery. There can only be one reason for these roads and that is to spread the ever-increasing amount of traffic and anyone who wished to “stand and stare” would get short-shrift from other users on the road. Besides, there is already an adequate network of roads in the Forest area as the most cursory glance at the map will show. Indeed, there are some who feel the area is too accessible to motor vehicles already, and that much of the remote charm has gone. As to saving valuable growing land in the Soar Valley, has it ever been considered that thousands of acres of good agricultural land have already been lost to the country from the ever-increasing sprawl of town planners and developers? New towns are going up everywhere. Practically the whole of the Sussex coast has been ravished (some of it the finest growing country in the kingdom), yet to prevent a road through the Soar Valley, where it would do the smallest amount of damage aesthetically, we have got to be saddled (and, incidentally, future generations also) with an eyesore, and the noise and fumes of the constant streams of traffic through what is, in fact, one of the few remaining areas of natural beauty in the Midlands. We can only hope the campaign will succeed in waking all those who have the beauty of our heritage at heart, and prevent this regrettable lapse of taste from taking place. All honour to The Evening Mail for bringing the dangers of the plan to the notice of the public at large. The Minister of Transport hopes to publish a draft of his plan for the London-Yorkshire motorway route through Leicestershire “some time next year”. Then opponents of the plan will have three months in which to record their objections, said the Parliamentary Secretary to the Ministry, Mr G.R.A. Nugent, in a letter to Mr John Peel, M.P. for S.E. Leicester. Mr Peel received his letter after sending a protest from a constituent to the Ministry. After receiving objections, says Mr Nugent, the Minister may hold a public inquiry, or make the road scheme with or without modifications. Surveys are now going on and authorities and interests likely to be affected are being consulted, he said. They will include the Nature Conservancy. He added that many factors have to be taken into account, including the relative costs and difficulty of construction of the possible routes, the claims of agriculture, the views of the local authorities, the potential loss of amenity to a large number of people, and the probable benefits to industry. “For the present I can only suggest that your constituents and others in Leicestershire who may be concerned about the possible proposals should await publication of the draft scheme. “THERE WILL BE AMPLE OPPORTUNITY FOR THEM TO EXPRESS THEIR VIEWS IF THE LINE THEN PROPOSED DOES NOT MEET THEIR APPROVAL”. The defenders of Charnwood are, however already in full cry. They are letting the Minister know their feelings on the subject now. Signatures for the petition organised by the Ramblers’ Association, Mr A.R. Bown and the Leicester Evening Mail are flowing in in a steady stream. A plea by Newtown Linford Parish Council for support to its protest to the County Council over the proposed Forest route met with a mixed reception yesterday at Barrow Rural Council meeting. A proposition that the council should endorse the action of Newtown Linford was defeated by 13 votes to 10. The council agreed to adopt a resolution by Mr W.M. Miller to take no action until such time as the proposals of the Ministry of Transport were further defined. Proposing the defeated resolution, Mr W.E. Squirrell said that, if the route went through the Forest, it would make “something of a farce and a mockery” of all the work the council had done in the area during the last 15 to 20 years. Urging the council to be careful before reaching a decision, chairman Mr W.R. Hallam said that nobody wanted to see the road on their doorstep. He pointed out that the Soar Valley route would affect Thurcaston, Cropston, Anstey and Swithland. “I am not in opposition to the proposition, but I feel it is a little premature, he said. I do appreciate the efforts you are making to dissuade the Ministry of Transport from bringing the new motorway through the Charnwood Forest. The evidence you are collecting of the very strong and widespread feeling upon the subject will, I feel sure, influence the Ministry in their final decision. I am glad to have this opportunity of protesting against the violation of out lovely Forest. It is not of great extent, therefore it is sacrilege to mar its beauty by a road built for fast traffic. I know good roads are needed, but what is wrong with using the existing road to the North? Surely it would be easier to alter that, and there is very little beauty to spoil. Once I had a Swiss girl staying with me. She was feeling a bit homesick for her Swiss mountains, so we took her for a run around the Forest. She was delighted. “Just like a bit of my own country,” she remarked. We, the undersigned, earnestly beg the Minister to avoid taking the London to Yorkshire Motorway along the proposed route through Newtown Linford, Ulverscroft and Charnwood, which area has already been scheduled for Preservation by the Ministry of Town and Country Planning and which we regard as our trust. It is therefore our duty to endeavour to ensure its preservation in its natural state for Posterity. If you want to protest about the proposed motorway, just sign your names here, cut around the dotted line, and return the form to any Evening Mail branch, or to the main office, 37, London Road, Leicester, marked “Charnwood Petition”. You passed them around the family circle; you took them among friends and colleagues at work; some of you canvassed the street for signatures to fill our first FAMILY FORMS, published last week. Several hundred names were added to the save Charnwood campaign with these special Evening Mail forms, and tonight and tomorrow we are giving you another chance to give your support. First form returned last week was from a titled widow now living permanently at a Leicester hotel. But not her name alone – the form had been taken round the hotel and was packed with names when it arrived back at The Evening Mail. A prominent city councillor signed another form and passed it round his family and friends. One of the full-size petition forms, which had space for 50 names, was returned this week from GLASGOW – full. It came from a Scottish businessman who stays with a friend in Charnwood whenever in this area. Forms have also gone to GRIMSBY, by request, and were distributed at a NOTTINGHAM ramblers’ party last weekend. A man from LONG EATON has asked for sufficient forms to obtain 1,000 signaatures. Local organisers – the Ramblers’ Association, Mr A.R. Bown and The Evening Mail – report that all Charnwood will be picketed again this weekend for signatures. The campaign is also well under way in city and county factories. Several managing directors have deputed foremen and departmental heads to organise the petition in their own sections. “I am intensely interested in your campaign” said Mr John Peel, Conservative M.P. for S.E. Leicester, when he met organisers of the Save Charnwood petition in Leicester this morning. Mr Peel’s talk today with two petition delegates – Mr A.R. Bown, of Newtown Linford, and an Evening Mail representative – lasted more than an hour. He assured them that he could bring the matter up again at the Ministry and that he would consider a question in the House if the opportunity arose. Even during the Christmas festivities there was time to think of Charnwood. Mr W.A. Freeman, of South Wigston, paused to write a verse or two about the motorway threat. And the work of the petition went on through the holiday – several collectors were out canvassing the hunt crowds at Loughborough and the Forest yesterday. Or will they speed on man-made stone – in shame? The smell of pine, or vales, damp beds of forget-me-nots? And bore the names of lovers gay and saw the quarrel’s tears? To see it flash, to cut the wood as wax? Will hills and valleys still with bracken and bluebells fill? Must the rushing streamlets stop and birds for e’er be still? Or strive to make our Charnwood safe for posterity – at last? Storm over Charnwood Forest re proposed new motorway. Petition launched. PARTY TIME – and a good time to collect a few more Charnwood signatures on these Evening Mail family petition forms. The Hands-off-Charnwood campaign will be renewed vigorously in the New Year, so here is YOUR chance to give an early helping hand. Just sign this form yourself and PASS IT ROUND THE PARTY. Leicestershire’s most influential cultural body, the Leicestershire Trust, has called a special meeting of its full council for January to consider making a public statement on the Charnwood motorway issue. “The executive council feels it is now desirable for the Trust to state its policy in public,” said secretary Mr. Ronald Hickling today. He recalled that last month the Trust had demanded an immediate public inquiry into the proposal to take the London – Yorkshire motorway through the heart of Charnwood. The Leicestershire Trust, with Sir Robert Martin its president, is an organisation which reports directly to Nature Conservancy in London. The Minister of Transport has already stated that the views of the Nature Conservancy – a statutory body coming under the Privy Council – are being consulted during the drawing up of a draft order for the road through Leicestershire. Full council of the Leicestershire Trust consists of more than 20 leaders of county life – in administrative, historical, archaeological and literary fields. MOST UNPOPULAR VOTE – that from the County Council which decided that there was “no objection” to the Charnwood Forest motorway route. No objection! The County Council are honour-bound, in my opinion, to reconsider this matter, after the tidal wave of public protest that has been heard. With 28 members not present at that last meeting, out of a membership of 89 – and a majority in one vital vote of only six – there MUST be another discussion, I say. TEN THOUSAND CHARNWOOD PETITION SIGNATURES HAVE NOW BEEN RECEIVED AT THE EVENING MAIL OFFICES IN LEICESTER. This completes the first step towards the immediate objective of 30,000 set by the organisers – the local Ramblers’ Association, Mr. A.R. Bown, of Newton Linford, and The Evening Mail. Many hundreds of forms – each with space for 50 signatures – are still circulating in city and county shops offices and factories. Collectors in city streets during the Christmas shopping rush and in the Forest at weekends, have met with a 90 per cent favourable response. Signatures have also come from Glasgow, Nottingham, Derbyshire and Birmingham and strong support has been gained in Rugby. Several M.P.s have pledged support and the petition will be presented to the Minister of Transport probably early in the spring. Sir, – On reaching our first milestone of 10,000 signatures, we wish to thank the many willing workers who are helping preserve Charnwood Forest, and to assure them that the petition will, in due course, be presented efficiently and effectively. The only way we can keep the public informed of our progress is through the Press, and at this early stage we wish to thank The Evening Mail for its invaluable help in following our efforts with such interest. We can now divulge that ample funds have been offered us to fight this campaign, but these have been refused, as the strength of this petition lies in the fact that it is a voluntary expression of opinion. It is too early yet to state our plans for presentation, as many influential and informed signatories and national organisations will be consulted. You can be assured that all issues will be stated as forcibly as possible, and the best use will be made of every signature. I am sure that no one would wish me to reply to letters the writers of which have insufficient courage to add their own name and address. The only benefit the Forest would get from the road would be the sight and sound, night and day, of heavy transport. The seclusion, joy and peace would be gone for ever, and all for a scheme that is not even economical. ADDING HIS NAME AT THE HOUSE OF COMMONS TO THE CHARNWOOD PROTEST PETITION, MR. BARNETT JANNER, M.P. FOR NORTH-WEST LEICESTER SAID, “I HOPE THE EFFORTS MEET WITH EVERY SUCCESS. He signed the No. 1 petition form, underneath the name of Ald. Fred Jackson, Lord Mayor and Leicester and then Mr. Herbert Bowden, M.P. for South-West Leicester, also signed. UNDERNEATH the name of Ald. 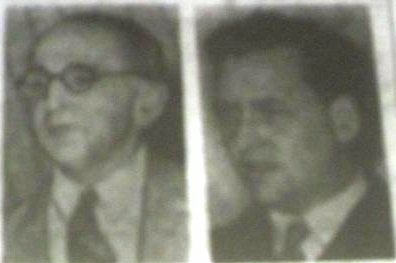 Fred Jackson, Lord Mayor of Leicester – signed at the beginning of the campaign – are those of Mr. Barnett Janner and Mr. Herbert W. Bowden. Their address: House of Commons. While I am pleased to see you are sponsoring a petition for the preservation of the beauty of Charnwood Forest, might I suggest a petition for the abolition of blood-thirsty huntsmen would be the best way to keep our countryside as it should be, peaceful and beautiful. The chairman of Groby Parish Council, Mr. Walter Ottey, last night criticised members who at last month’s meeting, when he was absent, protested to the County Council against the proposed London to Yorks. motorway through Charnwood Forest. Mr Ottey said members were protesting about something they knew nothing about. Mr. W.K. Shooter: “The facts of the proposed route were given to me by the Council.” At this stage the discussion was dropped. A BLEAK Charnwood yesterday, when the newest local M.P., Mr. John Peel, took his first look at the Forest. Groby Pool moorhens were bobbing high as waves lashed the surrounding walls like a Channel swell in miniature. And a gale blew over Old John and Beacon Hill as the M.P. and his wife and family pronounced the views perfect. We toured the Forest with Mr. A.R. Bown of Newtown Linford, after Mr. Peel had expressed “intense interest” in the motorway petition, but confessed that as a new boy in Leicestershire, he had never seen Charnwood. The carload of us went to Bradgate from the Pool, then on to Polly Bott’s-lane, Ulverscroft, Mount St. Bernard’s Monastery, Blackbrook, Beacon, Soar Valley, Old John and back to Newtown for tea. THERE ARE NOW 15,000 SIGNATURES ON THE CHARNWOOD PETITION. After six weeks, the organisers of the motorway petition are halfway towards their immediate target of 30,000 names. “And the campaign is growing yet. It has still not reached its peak,” said Mr A.R. Bown of Newtown Linford, who is organising the petition along with the local Rambler’s Association and The Evening Mail. Yesterday was a record in the Forest area – both for the number for mid-winter visitors and for signatures. As the biggest crowd since last summer flocked in, police were called to Bradgate Park, Newtown Linford entrance, to control the stream of cars and hikers. Petition collectors stationed at popular points reported that several people had again made the journey specially to sign. PETITION FACTS. The campaign was announced in The Evening Mail on November 30 and the first forms distributed a week later. By New Year’s Day, the total had reached 10,000 and the further 5,000 names have been added in a fortnight. The Leicestershire Trust is to help the Nature Conservancy in the preparation of a case to the Government over the proposed motorway through Charnwood. The Trust’s council meeting last night agreed to prepare a list of sites of interest and of scientific value that would be affected by the route through the Forest. They also decided to do a similar scientific and historic survey of the alternative Soar Valley route. These facts will be used by the Nature Conservancy – an official body to the Government – when they prepare their advice about the roadway’s route. Chairman of the County Council, Sir Robert Martin, was in the chair at last night’s meeting. He is president of the Trust, which is the most influential cultural body in the county, reporting direct to the Nature Conservancy. Will Bradgate Park’s amenities be affected by the proposed motorway through Charnwood Forest? This was the question raised at a meeting of the Management Committee yesterday by Ald T. Rowland Hill, one of Leicester City Council’s representatives. “I raised the point in view of the public interest which has manifested itself in the city and county over this road proposal,” Ald. Hill told The Evening Mail today. “But it was felt as this proposed road would not run through the park or adjacent to it, the committee could not interfere. Thousands of people who are jealous of the amenities of Charnwood Forest have signed the petition against the proposed construction of a trunk motorway through its confines. It is also necessary that organisations with special interest in the preservation of the countryside should join in the protest. The management committee of Bradgate Park had an opportunity on Wednesday to express an opinion on the road threat, but it was felt that as the proposed road would not run through the park, or be adjacent to it, the committee could not interfere. There was, however, a general feeling that “it would be very disturbing.” The site of the road is visible from the park, so it is certainly disturbing to lovers of Bradgate to have a highway so close to the famous beauty spot. (Not copied in full – it relates to the motorway generally, but there is no mention of the protest or of Charnwood). The Roads Campaign Council today urged the importance of starting work on the north-bound motorway through Leicestershire as soon as the first stage, from St. Albans to Birmingham, is completed. The new motorway, from London to York, says the council, cannot be fully effective until a further motorway is built to link it to Yorkshire and the North-East. News that a start is to be made soon on the first phase of the motorway means that road travel between London and Rugby will be speeded within the next two years. Contract for this 54 miles of dual carriageway, costing £15,000,000, will go to John Laing and Son. It is the largest contract of its kind ever awarded to one firm. Work is expected to begin in about two months’ time, and be completed in 19 months. Each of the carriageways along the route will be 36ft. wide and there will be fly-overs six two-level junctions and more than 70 bridges over roads, railways, canals, rivers and paths. At 12-mile intervals huge semi-circles will be built at the roadside for petrol stations, parking, picnic sites, cafes and other amenities. It will be necessary to excavate some 10,000,000 cubic yards of earch. Only motor vehicles will be allowed and there will be no waiting. Drivers will, however, be able to stop in an emergency on the verges formed alongside each of the two carriageways. A Transport Ministry spokesman told The Evening Mail that the precise route of the northern extension of the motorway would not be published for some months. The motorway would head due north from that point and would pass to the west of Leicester and Nottingham to end at a junction with the projected Doncaster by-pass. The motorway would run roughly parallel to the A5 north from Watford Gap. The Birmingham spur would cross the A5 near the Dunchurch by-pass. The Minister of Transport’s eagerness to press on with the new motorway from London to Yorkshire, makes it even more important to think of Leicestershire’s fate NOW. We have been fobbed off in official sources on several occasions, when protesting about the threat to Charnwood. “Too premature,” the officials have said. But it is obvious that the decision between the Charnwood route, the Soar Valley route and any other possible alternative, is being taken at this moment in London. Therefore the public of Leicestershire must make it known quickly how important they believe the preservation of Charnwood to be. They must add their names to a movement that is already being enthusiastically backed by several local M.P.s, the Council for the Preservation of Rural England and the Nature Conservancy. Sir, – It is welcome to note from Tuesday’s news that at long last the Ministry of Transport are giving top priority to motorways and by a year next October the Yorkshire motorway will be within 30 miles of us. You can be sure that within another year the excavators will be on Leicestershire soil. Whether Charnwood Forest will remain as we all know and enjoy it, is a matter in which we all have a vital part to play now. In this particular case, the agricultural land question is of no consequence, as the area involved is only 116 acres and the majority of the Charnwood route is well farmed. Our local M.P.s of both parties have been most helpful to the organisers of the petition and have expressed their earnest desire to see Charnwood saved. Only last week one of our Members of Parliament assured me that the petition will carry considerable weight, but he did advise me to lose no time. In order to provide an opportunity for people to sign in the centre of the city we have been offered space at a shop in Horsefair-street. This is in addition to the facilities offered at The Evening Mail head office in London-road. Readers will see a display in the window and petition forms are available for signature. The case for Charnwood’s preservation will be effectively put to the Minister, and as one of the organisers of the petition, I would ask city and county people to sign quickly if they wish to preserve the Forest as they have known and loved it for so many years, and to save it for the future. TWENTY THOUSAND names are now on the Charnwood petition forms in The Evening Mail head office and the pile is mounting daily. Latest signature has been sent to the Lord Mayor of Leicester from a direct descendent of Lady Jane Grey, the Nine-Day Queen who lived at Bradgate. The descendent is Hilary M. Grey-Bell, of East Lodge, Englefield Green, Surrey. The 400th completed form (50 names on each form) has reached The Evening Mail office at the start of the ninth week of the campaign organised by the local Ramblers’ Association, Mr. A.R. Bown and this newspaper. Many hundreds of forms are still circulating in city and county. As announced in our news column today, 20,000 people have now signed the petition organised by the Ramblers’ Association and Mr A.R. Bown and this newspaper, protesting against the plan to route a new motorway through Charnwood Forest. The size of the petition – and it is by no means finished, more are signing every day – indicates the depth of feeling throughout Leicestershire about the threat to Charnwood. The need for action of this kind has been emphasised by the announcement this week of plans for the completion of the first stage of the London-Yorkshire motorway. By allowing only 19 months for the completion of the stretch from St. Albans to Dunchurch the Minister shows a commendable determination to tackle the long distance traffic problem which has proved such a costly hindrance to transport efficiency, to industry and to the motoring public for so long. But this very laudable determination to get on with the job increases our suspicions as to his intention regarding the Charnwood in the next section of the roadway. First the Minister tells us we are premature in protesting and that no definite plan as to the route has been decided. Yet with this week’s announcement comes the news that the draft plan for the second push through Leicestershire will be issued “very shortly.” There can be little doubt that the Minister already knows just which route is being favoured and that that route will run through Charnwood unless the storm of protest from Leicestershire has brought about a change of mind. Now is the time for the County Council to reconsider the topsy-turvy vote which favoured a motion of “no objection” to the desecration of an area they had previously striven to preserve. Now is the time to sign the petition which lets the Minister and the County Council know what Leicestershire feels about it before it is too late. IF MEDALS were struck for workers in this Charnwood petition campaign, the first would go to a quiet and modest Leicester woman who reluctantly allows me to publish her picture today. She is Mrs. F.B. Mallinson, of Westfield-road, Leicester, who has collected 1,000 signatures. She set herself the target of 20 forms (50 names on each) at the beginning of the campaign. Her husband has helped, but in the main it has been Mrs. Mallinson’s solo effort. When the Christmas shopping crowds were thickest, she stood on a lonely picket outside the Post Office and outside a store in Horsefair-street. Subsequently, to complete the 1,000 names, she has toured city shops and offices. And believe me, as one who has collected a few names for the petition, it’s sheer hard work to have reached such a figure. “There are more to come,” adds Mrs. Mallinson, setting off into the snowbound city with her petition pad tucked under her arm. Second award I’d hand to the Colledges of Whitwick – Mr. and Mrs. E.S. Colledge. Every Sunday they have caught the bus to Copt Oak, walked two miles to the top of Beacon Hill, and have collected signatures on the bitter cold car park there, before walking the two miles back. Beacon is, without doubt, the most Icelandic spot in Leicestershire on a thin winter’s day. They say that the wind blows on to the Beacon straight from the Russian Urals. It feels like it, too. Miss Mervyn Pike, M.P. of Melton, will present the Charnwood petition to the Minister of Transport when it is completed, probably next month. And Mr. Herbert Bowden, Labour Chief Whip and M.P. for Leicester S.W. has asked to join the delegation, because of city interest in the future of Charnwood. Yesterday at the House of Commons, Miss Pike met a deputation from the petition committee and was told that 21,000 signatures of protest were now lodged on forms at The Evening Mail head office in Leicester, with more arriving daily. Pressing for a public inquiry into the possible routes of the new motorway through Leicestershire, Miss Pike stressed that she would maintain a strict impartiality in the dispute. “In my position as the representative of all points of view in the area, I do not intend to express my opinion on the relative merits of alternative routes. It is my duty to ensure that everybody gets a full hearing, however. “So I will be glad to present the petition to the Minister of Transport. Note: The majority of the Charnwood area and the disputed routes come into the Melton constituency. Only in the extreme north is it part of the Loughborough parliamentary division. “It is now safe to assume that one will be held. Around the world spreads the call of the Charnwood petition of protest against the proposed motorway. FROM VANCOUVER, a former city resident asks for a form to be sent out. FROM ITALY has come a request from the Viddosich family to have their names added to the petition which rests in The Evening Mail office. Mrs. Constance Viddosich was born and brought up in Leicester but went to Italy on marriage. She sends her own name and those of her family – Cesare, Guiseppe [sic] and Margaret. “Will you add the names both to your Charnwood petition and to the petition protesting against the demolition of Carey’s Cottage. Mrs. Viddosich feels very strongly indeed about them both,” writes her friend, Miss D. Lucas, of 33, St. Leonard’s-road, Leicester. On behalf of all who are interested in preserving Charnwood, may I remind your readers that there is little time left for them to make their protest against the proposed trunk road. We know a road will be made somewhere, but public opinion, if strong enough, can influence the Ministry of Transport as to exactly where the road is to be cut. Many (over 21,000 so far) have signed the petition which asks that the most beautiful part of Charnwood shall be kept, as it was intended to be, for the quiet enjoyment of the people of Leicester and Leicestershire – and of the many visitors who come to see its unique geology and natural beauty. But there are many more who only need to be asked. Visitors to Groby Pool andd Bradgate Park at the weekend, enjoying the mild weather and watching the deer coming to the stream to feed, were eager to sign there names. To them, and to all who intend to sign within the next week of two, many thanks – but remember that time is getting short. Note: Petition organisers have issued an appeal for volunteer collectors to meet each Sunday at Bradgate Park (village end) at 2.30. A special drive for signatures is being made in the Forest area for the next two weekends. 13 February 1958, pp.1 & 5. AS THE NUMBER OF CHARNWOOD PETITION SIGNATURES IN THE EVENING MAIL OFFICE IN LEICESTER ROSE TODAY TO 25,000, A NEW CONTROVERSY ENTERED THE LEICESTERSHIRE MOTORWAY DISPUTE. “I do not know why the decision for an alternative route should result in a considerable delay. “It would now appear that we have achieved our first purpose of making sure there will be a public inquiry. “The Minister is now fully aware of the local feeling and opinion. As previously stated in The Evening Mail, Miss Mervyn Pike, M.P. for Melton, whose constituency is affected by the Charnwood dispute, has agreed to lead the delegation to the Minister. 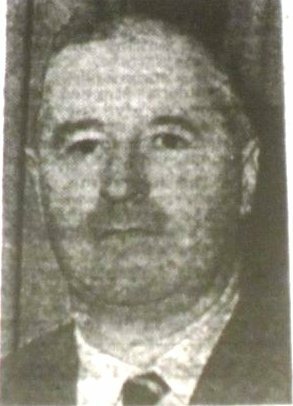 Mr Herbert Bowden, Labour Chief Whip and M.P. for S.W. Leicester, will also join in presenting the petition. In his written replies to Mr. Janner and Mr. John Peel, Conservative M.P. for S.E. Leicester, Mr Watkinson said he had received a number of representations about the line of the motorway and in each case he had given an explanation of the procedure he was required to follow.